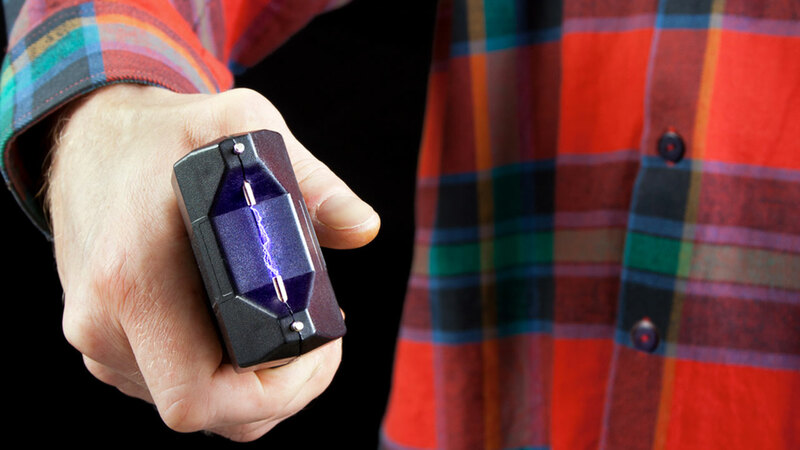 LAKELAND, FL -- Authorities in Florida say four adults have been arrested for using a stun gun to discipline children living in their home. The Polk County Sheriff's Office said in news release that 22-year-old Eduardo Vazquez and 22-year-old William Torres-Morales were arrested Thursday on aggravated child abuse and other charges. The report says the suspects admitted using a stun gun to discipline the children, including instances when male children failed to do a certain number of pushups. The statement indicated seven children had burns consistent with stun-gun injuries. Deputies say the suspects' girlfriends, 33-year-old Elizabeth Tarvin and 32-year-old Veronica Sanchez, knew about the abuse but didn't stop it. The women face charges of negligent child abuse and failure to report child abuse. The investigation began this month after deputies received a referral from the Department of Children and Families in reference to child abuse allegations. All four suspects were living together at the home. Two of the children were removed from the home following the allegations. The news release, citing information in affidavits, said one of the children had "fifteen two-prong burns over on his buttocks, that were consistent" with a stun-gun injury. It's unclear whether the suspects have attorneys.